I don’t expect fair or most sophisticated answers. Just want to have something to gist about. You think I don’t feel that way sometimes? Trust me, I do. Just feel like telling you something random I’m pondering about. We might learn one or two things about sustaining human life, who knows? So there’s an elephant in the room. Who’s going to scare the elephant out or push it out of the room? Does it need to be pushed? What should be done? Laugh about how colourful it is? Or what? Please send in your comments, would love to hear from you. 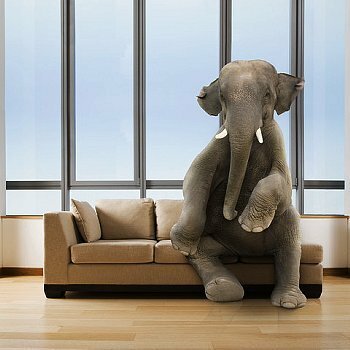 I wonder what the elephant is doing in the room or even how it got into the room. Cool picture of the elephant though. It seems like it wants to dance. Firstly, the elephant should definitely not be overlooked. Questions should be asked about it and except the said room is in some other planet where elephants dwell in rooms…thoughts, discussions and actions must be taken to see out the elephant.